Writing SEO rich content brings a visitor to your webpage when he/she searches for a specific keyword. 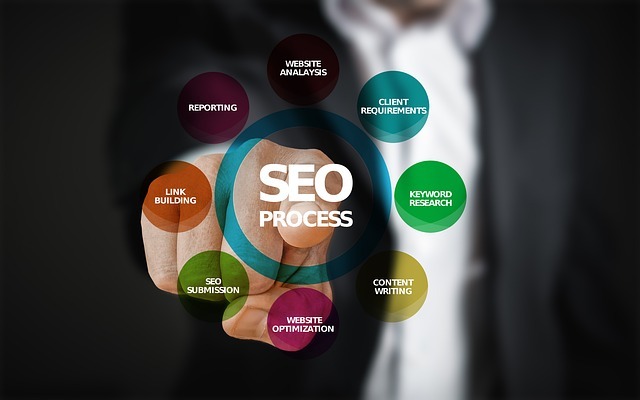 Creating unqiue SEO rich content positions your website on the first page results of the search engine. To do this you require a lot of practice and writing skills. You can use images and links in your content to increase your page ranking. Create a catchy headline with the keyword in it to attract readers. Here are some easy tips on how to create unique and SEO rich content. Before you begin with any article think of keyword you are targeting as you are creating SEO rich content. Users enter keyword or phrases in search boxes and search engines displays the pages that carry those keywords. So it is important to first research on keywords that you will be using in your webpage. For example, if your website sells sports accessories your keywords could be “buy sports accessories online,” buy sports accessories at Reebok” etc. You should spend some time on researching right keywords. Prepare a list of 5 to 7 keywords and save them in a file. There are lots of free keyword research tools out there. Google’s keyword tool is one such tool that helps to check the popularity and competitiveness of the keywords. Find the one that works for you and make sure you put in efforts and do it right. Choose the relevant keywords that are less competitive but still has more global and monthly searches. Then return to your site and incorporate them into your article at places where they make sense. Let them flow naturally in your content. In your SEO rich article try to include the selected keywords throughout your content. Best places to include them are in the title, first sentence of the first paragraph and in the last sentence of the article. You can also add them to HTML meta tags. Ideally, your article should be between 500-1000 words. Split the content into small paragraphs with sub heads. This will help search engines to index your pages easily. Maintain conversation tone throughout the article. A web page is likely to rank higher if your content is user-friendly and conveys useful information. When Google scans your content, it also scans the images you’ve added to your content. The description in the ‘alt text’ helps it to do this. The interesting thing about images is that Google image search works in the same manner as Pinterest. When users click on an image from Google, they are directed to the corresponding webpage. In other words your webpage quickly gets positioned on the first page of Google image results for your niche. If you are using your keyword phrase for every 100 words, highlight them with italics or bold fonts. When Google search engines scan your content, they focus on those highlighted words or phrases. Backlinks are very much important for a website’s ranking. One of the easiest ways of achieving this is to create relevant and informative content which readers would like sharing with others. Articles on How to do and offering free tips are good examples which visitors enjoy reading as well as sharing. Writing an user-friendly content not only increases the SEO ranking of a website but also brings more traffic to it. After writing your article, add relevant links at appropriate places. Also, you may use a link to your competitor here. Since the article is for your readers and not you, it should make them completely satisfied. By doing this you will finally earn more diggs, readers and subscribers. If Google search engines find the content of your blog post on different websites, your website is likely to rank higher. Thus, it is essential to make your content easily shareable. Tools like shara-a-holic and ping would help you with this sharing feature. Whatever your business market is, there are people who want to learn more and grow. If you are the expert, feel free to share your knowledge and help others learn. Writing SEO rich content brings a visitor to your webpage when he/she searches for a specific keyword.